It should be noted that the building regulations in Scotland do differ significantly from those in England and Wales which we discuss elsewhere on this site. One of the biggest differences is that whereas in England and Wales building work can begin even before approval has been granted through the provision of a building notice, in Scotland the rules are very different. Homeowners north of the border are not permitted to begin work on their loft conversion or other major project until they have obtained a building warrant and at the end of a project a 'habitation certificate' is issued. A property without a habitation certificate cannot be occupied by its owners. In England and Wales the building regulations consist of of a series of approved documents but in Scotland the rules are more flexible and are administered by the SBSA - the Scottish Building Standards Agency. 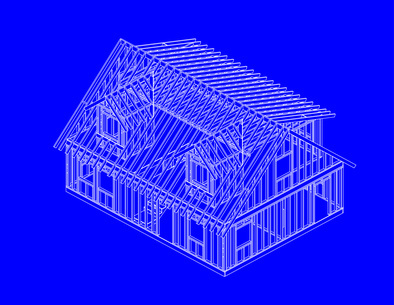 The SBSA issue the Scottish building regulations in two 'technical handbooks' - one for dwelling houses and the other for non domestic or commercial buildings. A little like the approved documents used in the rest of the UK the technical handbooks are divided into different sections covering structural, fire, environmental, safety, noise and energy issues. The technical handbooks are supplemented by two other manuals that outline procedural and certification processes. In other words how the work is progressed and monitored and how it is approved at the end of the project. Similar to the building control officers in England and Wales who issue the final completion certificates in Scotland it is the 'approved certifiers' who are charged with providing the all important approval documents. It is the approved certifiers role to issue the final certificates to the local authority confirming that all work has been carried out in accordance with the Scottish building regulations.